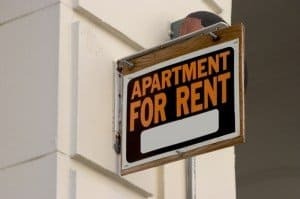 A new law in Charlotte, North Carolina requires landlords to undergo a crime rating with area police. The new ordinance provides for a property rating system, to be determined by police officials. If a property is deemed “In Need of Remediation”, the landlord may be required to meet with city officials and develop a crime-reduction plan. The system requires rental registration with the police so that officials can identify and contact the property owner when levels of disorderly activity on the property have exceeded the guidelines. Additionally, city officials say they are looking to establish a method to hold rental property owners accountable for “failing to use effective methods” to reduce disorderly conduct at their properties. In addition to filing a registration containing contact information and the number of units at a property, the landlord must display the proof of registration in the business office, in a common area or other conspicuous place. Police will determine the “Disorder Activity” rating for each Residential Rental Property and the allowable threshold for each property type, on a quarterly basis. These determinations may be based in part on the ratings from the previous year. If the property receives a low grade, the owners could be required to attend a mandatory risk assessment meeting and may need to participate in a remediation program. Non-compliant landlords may be subject to administrative fees.